Covercraft Sunshades will provide superior protection for your vehicle. Not only are these crafted to fit your vehicle perfectly they are designed to repel damaging UV rays and heat while absorbing surface heat. 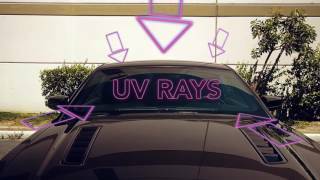 These custom windshield sunshades use 3 layers of heat defense to keep your vehicle cool. The unique accordion design allows for them to be easily folded up and stored when you are ready to drive.